Valve agrees with fans annoyed with the delays. 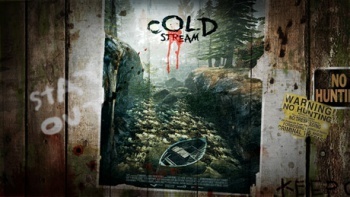 The Cold Stream DLC pack for Left 4 Dead 2 hit PC and Mac this Tuesday, however the Xbox 360 version was nowhere to be found. Valve has confirmed via Twitter that Xbox users should be seeing the update in the near future, saying "we are working with MS on a release schedule. We don't have an ETA yet but we hope to have it out soon." The expansion, released as part of a free patch on PC and Mac, will cost 560 Microsoft Points when it emerges on the Xbox Marketplace. The delay has bemused many fans, causing them to send a host of messages to the Left 4 Dead Twitter account to try and find out exactly why the expansion hasn't been released yet. The team, it seems, is just as upset at the delays as its fans, stating, "We understand the frustration, we are right there with you. Just wanted to wait until we had more info before posting." One disgruntled player tweeted, "Valve never had any intention to release it today. Never seen a company that hates its fans so much." The developers swiftly shot back at this accusation, saying, "I'm gonna bite. Why would we not want to release it today? Timing it with the Games on demand release would have been perfect." The team also dismissed claims that the code hadn't been sent to Microsoft yet as "incorrect and illogical." By the look of things, the delay is simply a case of last-minute issues with the console version, so any fixes should most likely not take long. While the team has not given an exact answer yet as to when Microsoft will release the patch, a post on the Left 4 Dead blog claims that it should be out next week. Update: Valve has posted on Twitter to confirm that the title update and DLC will be available this Friday, August 3.